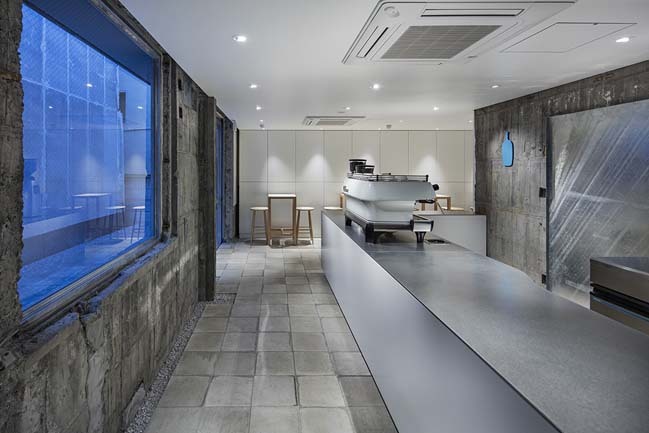 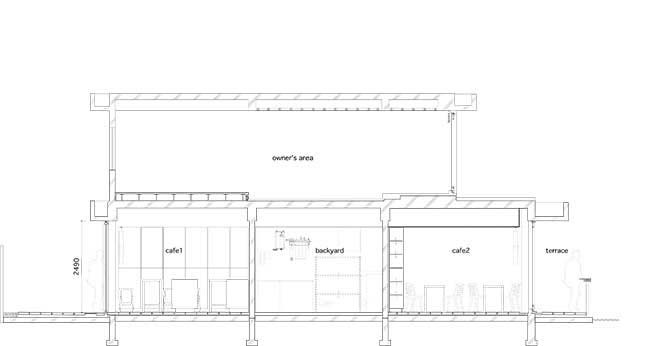 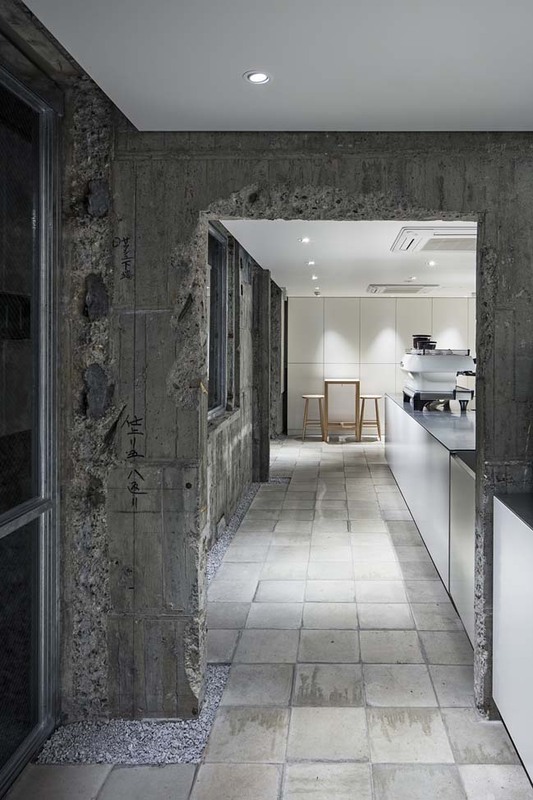 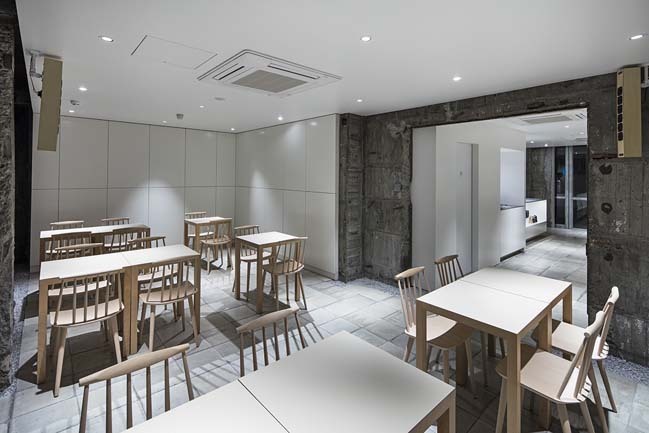 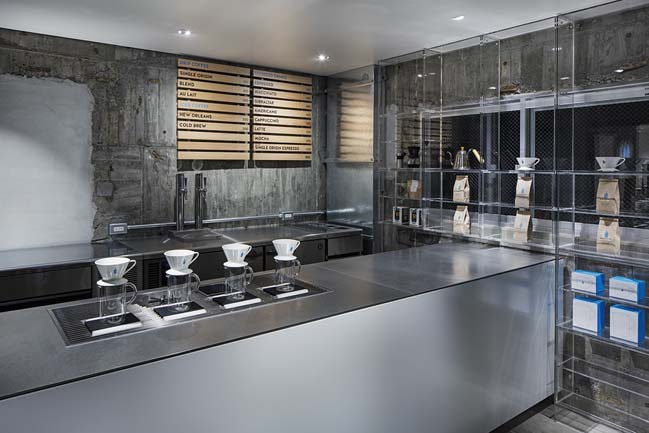 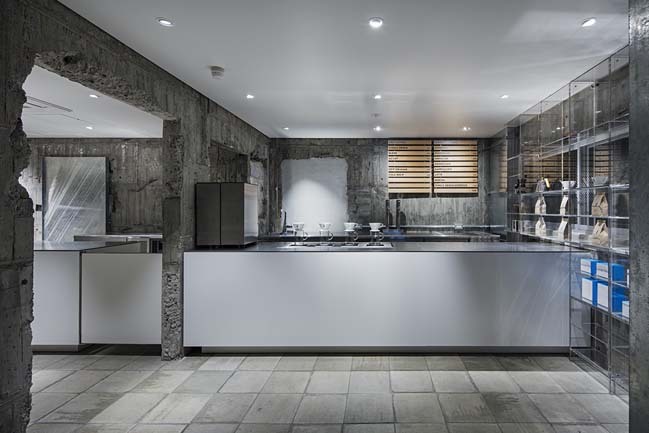 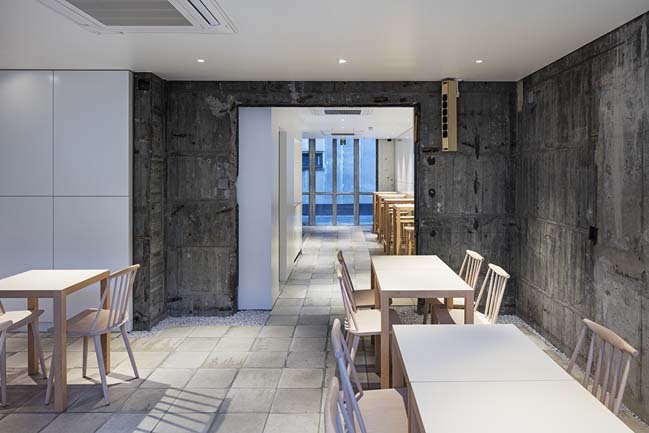 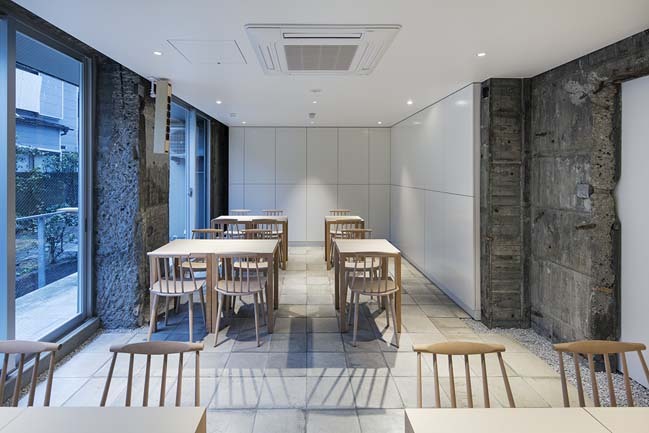 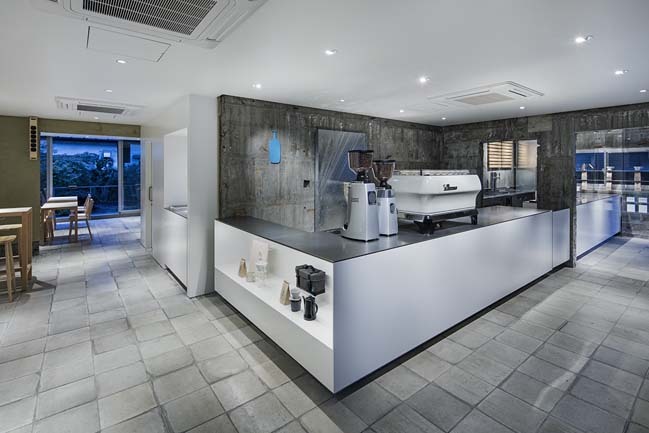 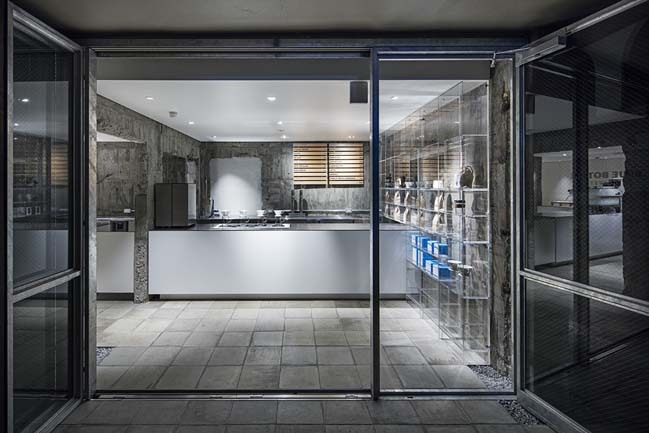 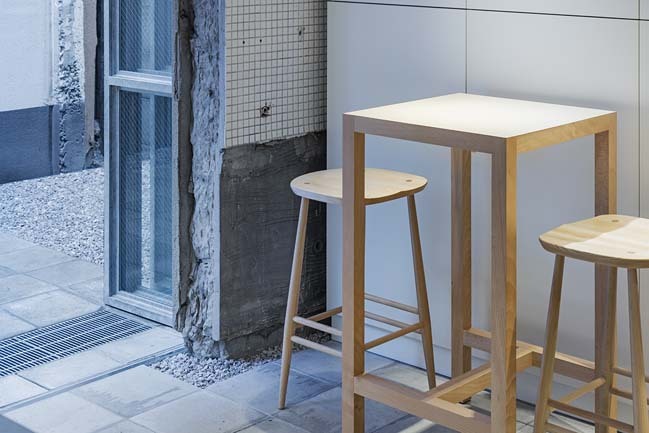 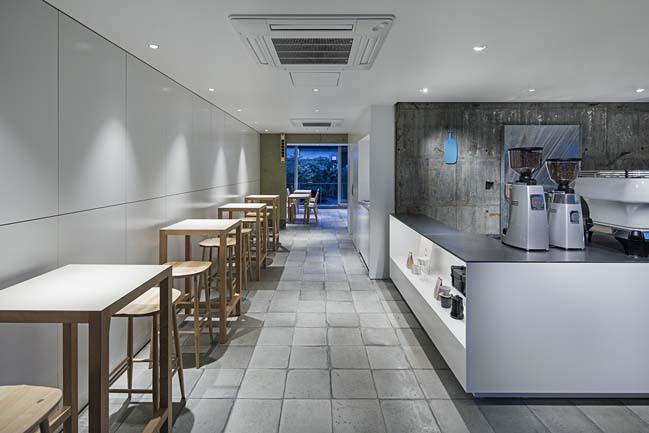 Schemata Architects has sent to us their new project the seventh of Blue Bottle Coffe in Japan which is now opened in Sangenjaya, old Tokyo neighborhood close to downtown. 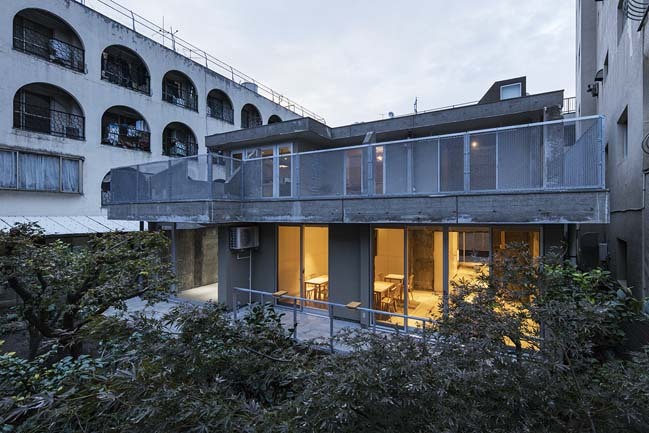 From the architects: This 50-year old low-rise building stands at the end of the dead-end road between the two buildings located at a 3-minute walking distance from Sangenjaya station. 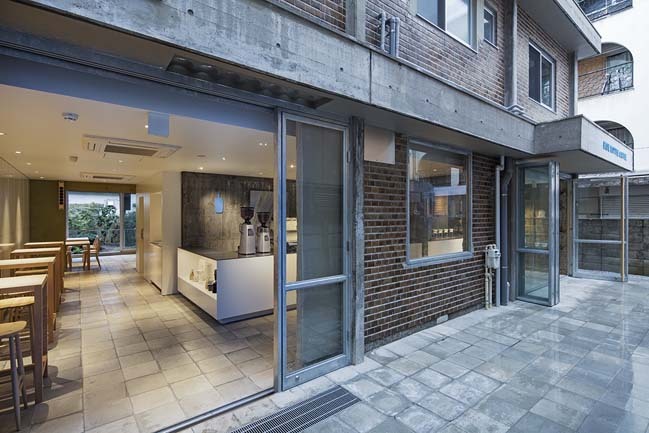 Standing in front of the building, one looks up to find a wide-open sky above the city, feeling the luxury of "vacancy" in the urban density. 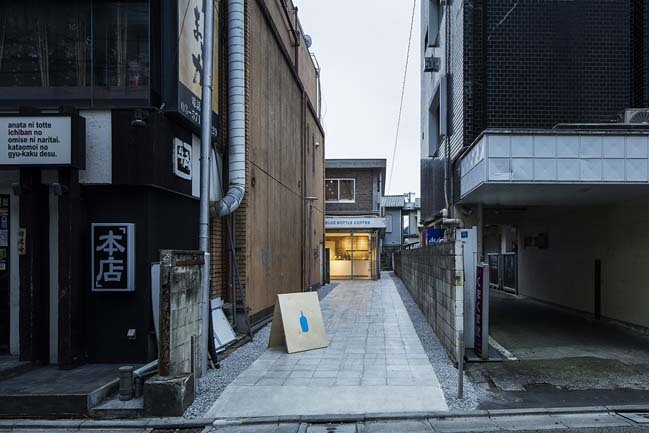 This building had been a residence and a clinic of the original owner, who was the client's grandfather, and it was also used as a place for his artistic activities including painting in his later years. 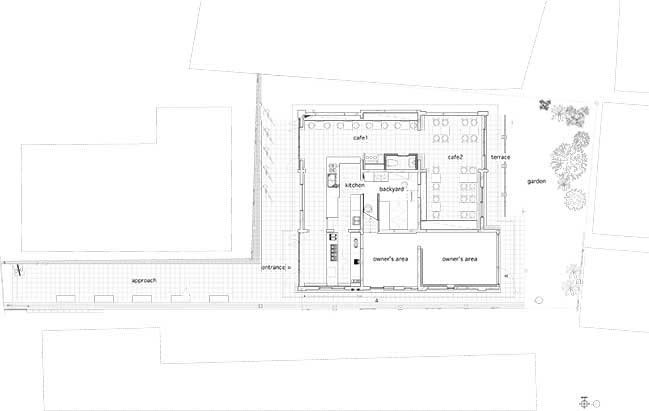 Considering the location of the site, it was feasible to build a new commercial building or an apartment building here. 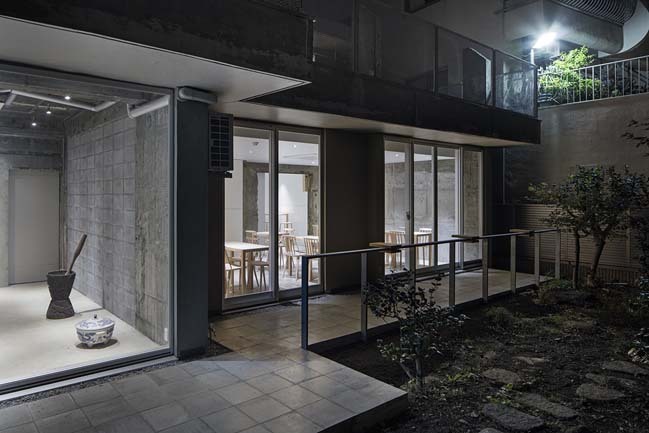 Yet, we decided to keep this building to create a place loved by the community residents and generate new activities for the community, out of respect for the client and his family's love and reverence for the grandfather, rather than simply focusing on business profits. 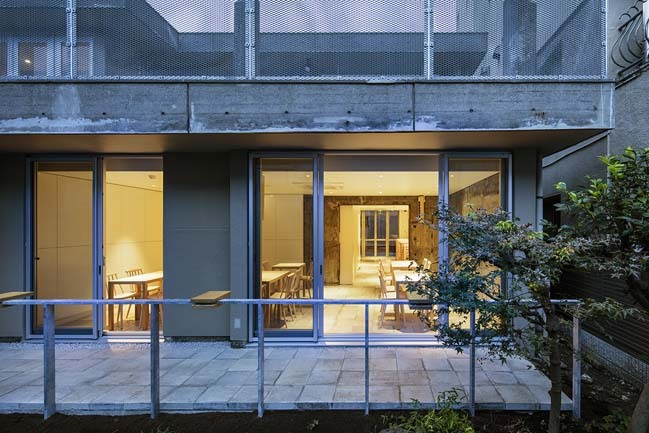 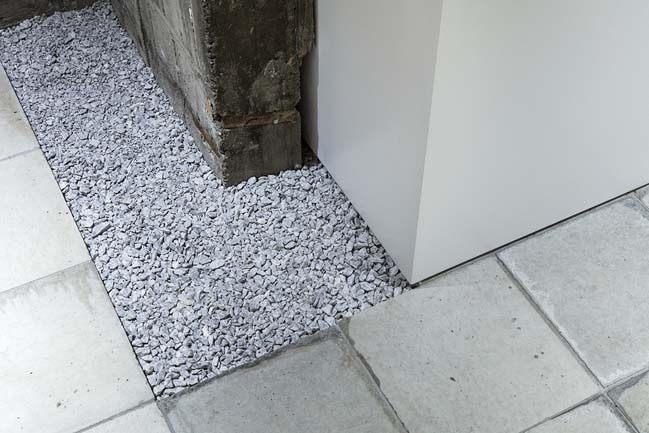 Following the completion of the initial renovation completed in March (including the residence on the second floor and the gallery on the first floor), the client decided to recruit another tenant. 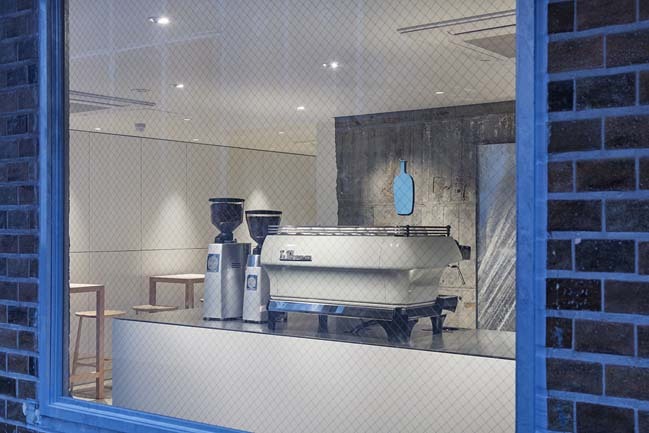 BLUE BOTTLE COFFEE sympathized with the client's philosophy, and the seventh cafe of BLUE BOTTLE COFFEE JAPAN was born here. 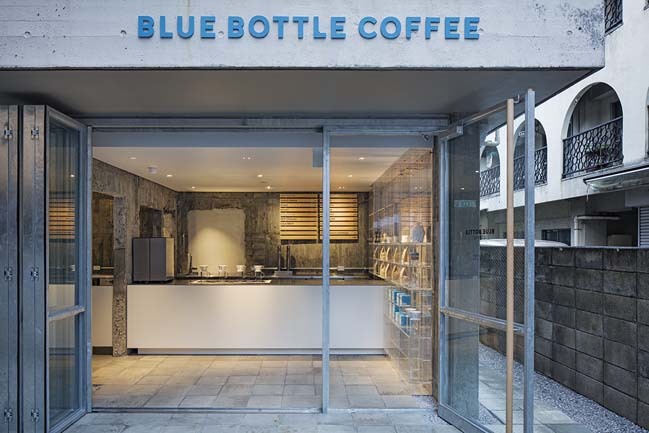 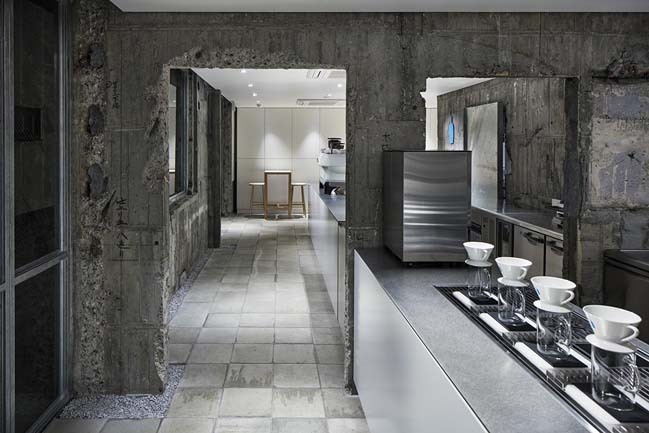 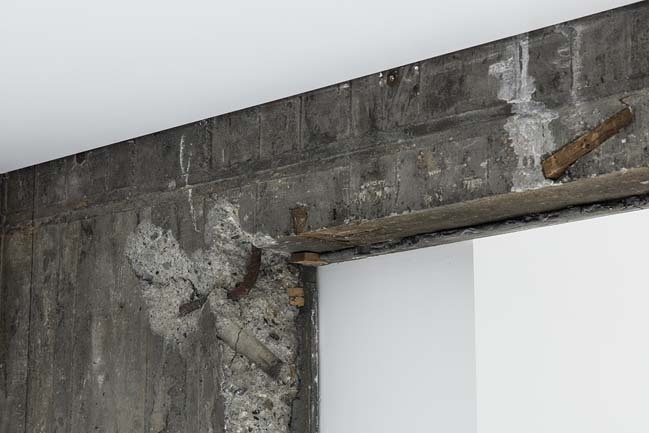 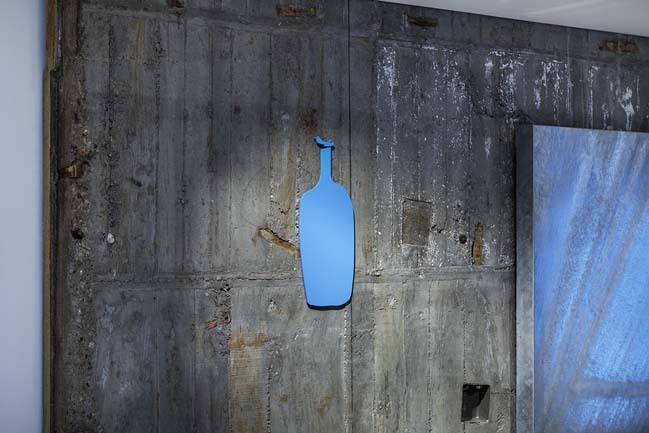 James Freeman, the Founder of BLUE BOTTLE COFFEE, was inspired by the rough texture of concrete of the original building that had been poured using formwork made of Japanese cedar wood, and remembered the feeling of "esprit rude/ esprit doux", which he had experienced as a musician. 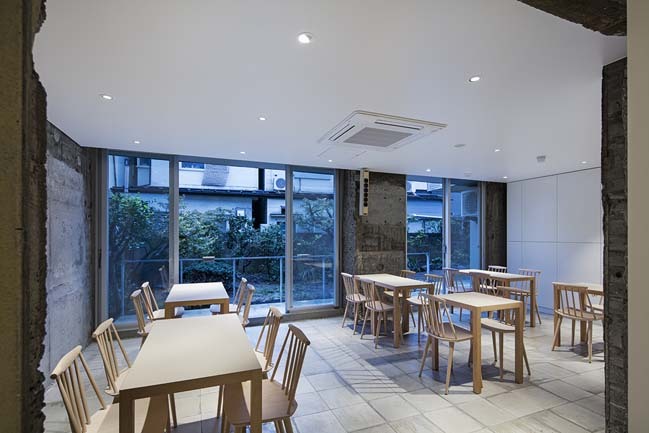 Our space design was born out of this inspiration.